Editor's Note: Below is a brief excerpt from today's Early Look written by CEO Keith McCullough. Click here to learn how to subscribe. 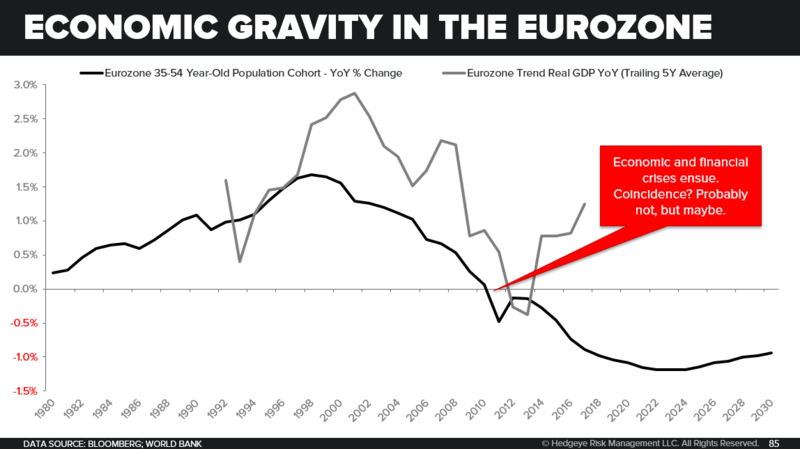 The Eurozone’s 35-54 year old population growth rate chart is one of the scariest charts in all of Global Macro research. The ongoing 3D Risk in Europe (Demographics, Debts, and Deficits) are about to be as intense as they have ever been. That’s secular. The cyclical call on #EuropeSlowing is still A) contrarian and B) early innings. So, no, for Europe, longer-term that wasn’t it.